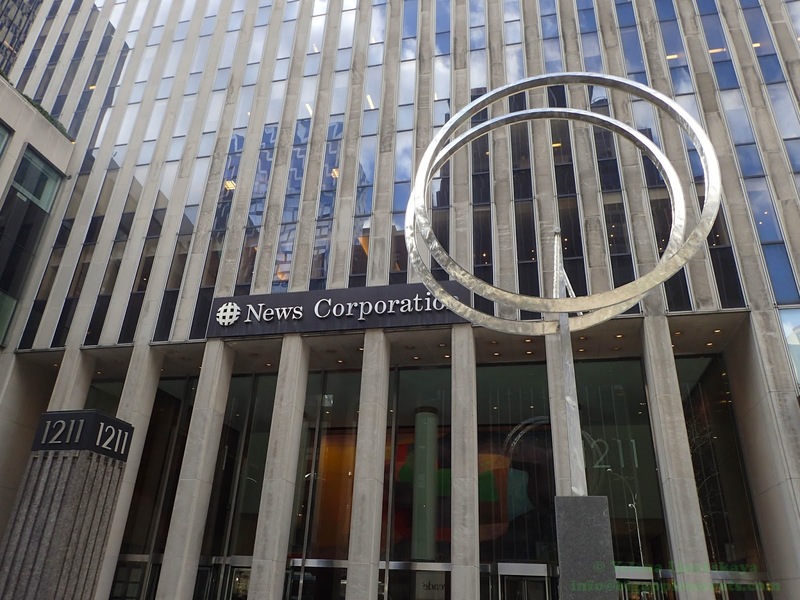 New York: Picture of the Day : 1211 Avenue of the Americas, News Corp. Building, completed in 1973 as part of the Rockefeller Center extension is a homehome to Fox News and The Wall Street Journal. A wind-powered sculpture “Annular Eclipse” by George Rickey is installed in front of it in 2017. 1211 Avenue of the Americas, News Corp. Building, completed in 1973 as part of the Rockefeller Center extension is a homehome to Fox News and The Wall Street Journal. A wind-powered sculpture “Annular Eclipse” by George Rickey is installed in front of it in 2017.